You’re working too hard, drinking too many sodas, and grabbing fast food to stave off the hunger pangs. When the weekend rolls around, all you want to do is kick back with a few beers. But did you know your lifestyle is lowering your immune system? Modern habits can take their toll, but you can boost your immune system with these natural remedies. Asian medicine men have long known the powers of native mushroom varieties including shiitake, maitake, and reishi. They all contain beta-glucans that help your body fight off infections and reduce allergies. Purified mushroom extracts are available, but you can also enjoy their effects by eating fresh mushrooms in stir fries, pastas, and risottos. In contrast, processed foods impair immune function, so it’s an easy choice when you’re looking for an immune-boosting meal. Make room on your plate for other lean proteins, including lean meats, seafood, nuts, and beans. The mushrooms are a good source of protein, but these other ingredients will give your meals an added immunity boost. The antibodies that fight diseases are actually made of protein, so eating extra protein makes a lot of sense. Many protein-rich foods also have other elements that assist the body’s immune response. For example, lean beef, oysters, and beans are rich in zinc, which aids in the production of infection-fighting white blood cells. 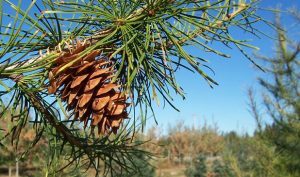 It’s got a very long name, but larch arbinogalactan is one you should become familiar with if you hope to boost your immune system. People who take this fiber, sourced from the wood of the larch tree, have 23 percent fewer colds. Take larch arbinogalactan to reduce your chances of getting the sniffles and the more serious conditions that can result, including bronchitis and pneumonia. If you develop these serious illnesses, you’ll need to buy Levaquin or a similar drug to beat them. Choosing a supplement with the ingredient “larch resist-aid” at your local pharmacy or health food store will help you ward off illness, too. Did you know about 70 percent of the body’s immune system lives in the gastrointestinal tract? So if you want to boost yours, you need to improve your digestive system’s health. Taking oregano oil is a great way to get yours back on track, as it eliminates the bad bacteria that can take hold. Scientists investigated the link between oregano oil and the immune system when they fed the supplement to nursing pigs in 2011. Their study found the pigs that took oregano oil had more white blood cells in their milk than the control group. Taking 200 mg of oregano oil, three times a day, will improve the health of your digestive system and boost your immune response. In 1960, half o fAmericans held jobs that required moderate physical activity. At the turn of the last century, that number had fallen to just 20 percent. That means most of us are sitting at desks all day long. We then sit behind the wheel of a motor vehicle to return home, where we sit in front of a television until bedtime. This sedentary lifestyle isn’t just making us fatter; it’s also compromising our immune systems. In 2006, researchers studied the effects of exercise on the immune systems of 115 obese and sedentary post-menopausal women. Half of the ladies were told to stretch once a week, while the other half undertook 30 to 45 minutes of moderate-intensity exercise five times a week. Over the year-long study, the stretchers had three times the number of colds. It makes sense, because exercise encourages antibodies and white blood cells to move throughout the body faster. This helps them detect and start fighting illnesses sooner. This increased circulation is also thought to trigger hormones that tell immune cells that intruding pathogens have entered the body. Just make sure that you don’t overdo things. High-intensity exercise can decrease your white blood cell count and leave you more susceptible to illness. A brisk walk, swim, or cycle is perfect. All of us indulge in a few bad habits now and again, but they don’t have to lower your immune system if you use these natural immune boosters. Do you use any of these natural immune boosters?